Drummer Boy played for Div. review. Medal of Honor by Sec. of War Stanton. Medal of Honor. His gravesite is unknown. The Vermont Civil War Hemlocks. 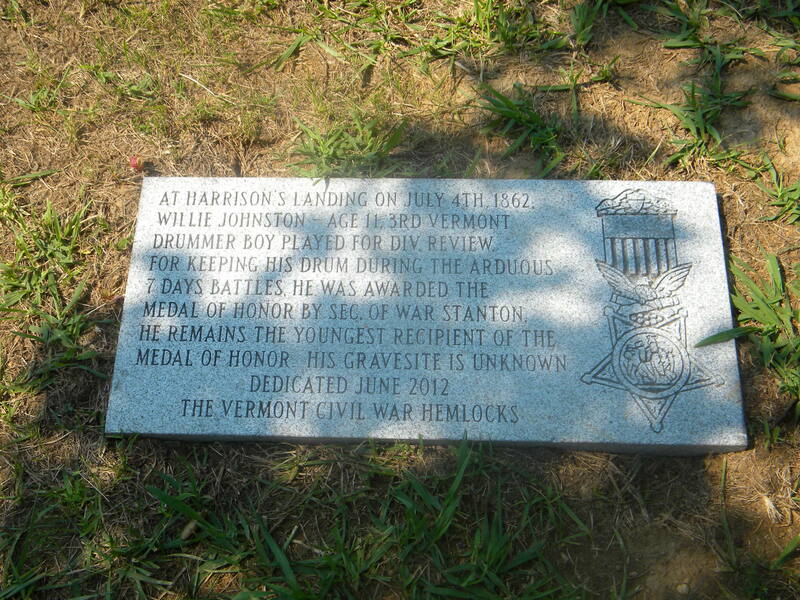 Photograph courtesy of the Vermont Civil War Hemlocks.